Pioneers in the industry, we offer diaphragm fabric seals, ptfe diaphragm, ptfe laminated diaphragm, pump diaphragm, rubber diaphragm and valve diaphragm from India. We manufacture diaphragms fabric seals in synthetic rubber, metal bonded with matching methodology. These find wide application in aerospace, industrial, electronic, agricultural, chemical and medical industries. Precious dimensional for on-off pressure gas or fluid controlling. Our company is one of the renowned manufacturers of various types of PTFE diaphragms. These diaphragms are manufactured using high quality raw material, which is sourced from the licensed and reliable vendors. These diaphragms have high tensile and elongation property. Our company is one of the renowned manufacturers of various types of PTFE laminated diaphragms. These diaphragms are manufactured using high quality raw material, which is sourced from the licensed and reliable vendors. These diaphragms have high tensile and elongation property. 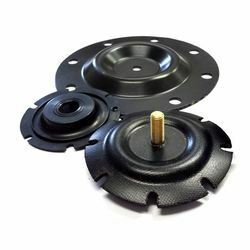 We are one of the prominent manufacturers of Diaphragms for pumps which are manufactured using advanced quality materials and are supplied to various industrial sectors. Our provided diaphragm is available in different specifications as per the demand of our clients. Over the years we have been engaged in offering world class Rubber Diaphragm to our clients. These are manufactured using latest tools and techniques under the strict surveillance of our experts. These Rubber diaphragms are widely available in various specifications, dimensions and shape. 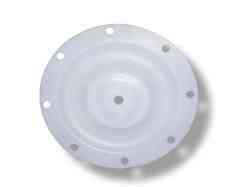 These diaphragms are widely used in various sectors like Pharma, Cement, Mining, Dairy, Automobile etc. 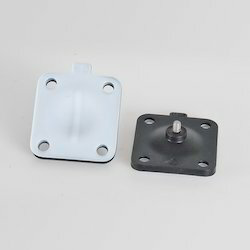 Also, these diaphragms are available in different polymers life Viton, Silicone, EPDM, Neoprene etc. We are one of the prominent manufacturers of Control Valve Diaphragms which are manufactured using advanced quality materials and are supplied to various industrial sectors. Our end products are again tested by highly qualified professionals.